Baked in small batches in Houston, Texas, the Chocolate Chip Bourbon Bombs are pairing your favorite after dinner treats in one bite. 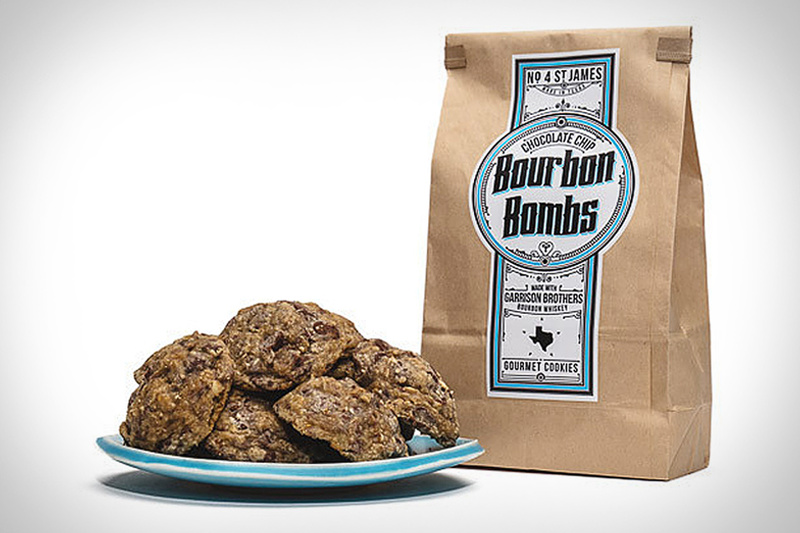 These boozy morsels take your typical cookie's semi-sweet chocolate chips and pecans and lace them with Texas Straight Bourbon Whiskey from Garrison Brothers Distillery. You can order them in a half dozen, but you know you're going to need the full. Sometimes Sci-Fi becomes real life. Available in powder or pre-mixed liquid forms, Soylent provides all the nutrition you need, including essentials like proteins, healthy fats, slow-metabolizing carbs for energy, vitamins, and minerals. And while most of us are likely to have a cup/bottle when we're too lazy to make real food, you could actually consume it, water, and nothing else and live a perfectly healthy lifestyle (or so the fine print says). 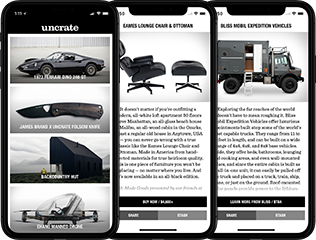 It's also making its mark in Silicon Valley, becoming popular with programmers and other digital insurgents who use it in place of time-wasting meals to fuel marathon coding sessions. However you use it, you'll probably want to have something around to flavor it with, as while it's not necessarily "bad", it does leave at least one part of your body yearning for satisfaction: your taste buds. It's always been a healthy, lean snack that is easy to grab and go, but you've probably never made your own beef jerky. This DIY Jerky Kit changes that, giving you all the tools you need to make jerky at home, all you provide is your choice of meat. Included are two non-stick drying screens, two spice blends, a cork oven door stopper, and all the instructions to whip up a batch of homemade jerky for your next camping trip or hike. Skip the chips and dip this year and indulge your holiday guests with some Roe Caviar. Sourced from sustainably farmed White Sturgeon in California, each tin contains the roe from a single fish, selected for size, firmness, color, and taste, with very fine salt to help enhance the flavor and without any added preservatives. Available only through the end of December, it's extremely limited, and comes in 125 gram or 250 gram tins, the latter of which arrives in a custom Monterey Pine wooden gift box. We already know the fiber in oats can keep you going for longer than most sugary breakfast snacks. Oats Overnight does them one better with a formulated mix of proteins and nutrient-rich ingredients that helps you start your day right. Each pre-measured, single-serving pouch includes oatmeal (obviously), chia seeds, flax seeds, and whey protein. To prepare, just mix the pouch with 8 oz. of milk in a blender bottle, give it a few shakes, and stick it in the fridge overnight. When you wake up, give it a couple shakes again, and enjoy a breakfast with the protein equivalent of five eggs without needing to grab a frying pan. Available in three tasty flavors. Just when you think you've had it all, Smoked Chilli Mayo from Gran Luchito hits your radar. Made using an underrated smoked chilli called the Pasilla Oaxaca, this fiery addition is blended with free range egg mayo and is perfect to use on burgers, sandwiches, or for a unique batch of deviled eggs. Dunk or dollop it on anything that needs extra smoke, spice, and authentic Mexican flavor. It's nearly Father's Day. This year, instead of getting your dad yet another gadget, treat him (or yourself) to a great experience. Like the Pappy For Your Pappy special at Alphabet City's Root & Bone. An all-inclusive feast, it includes a char-grilled pork chop, pancakes, pork belly bacon, butter pecan ice cream, eggs, house-made tater tots, and whiskey maple syrup. And while the food is impressive, so is the drink pairing, which includes 1 oz. pours of Old Rip Van Winkle 10 year, Van Winkle reserve 12 year, and Pappy Van Winkle Family Reserve 15 year. Happy Father's Day, indeed.